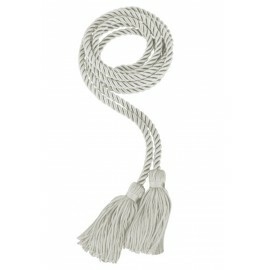 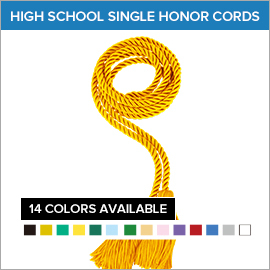 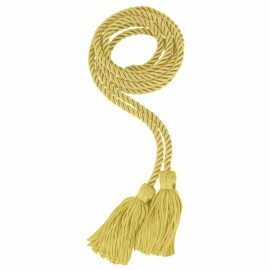 Among Gradshop's extensive list of outstanding high school graduation products are our High School Graduation Honor Cords. The perfect high school graduation gown for your graduation is never complete without our premium quality graduation cords. These cords can be purchased in both the single high school graduation honor cord as well as the double graduation honor cord and are a very important graduation accessory. 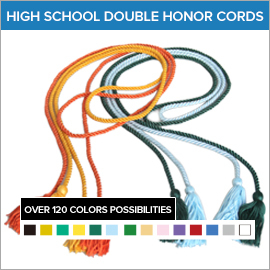 Each time you buy a high school graduation honor cord, you're certain to be getting a premium quality graduation product made from the best poly/rayon fabric. 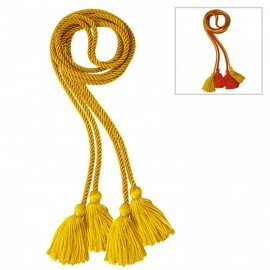 These graduation chords are a must-have if you want to symbolize a vital achievement in the life of any student and should always be an important part of any graduation ceremony. Check out more information by clicking below!